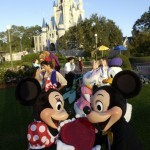 I had a great time reporting live from Walt Disney World this past week. 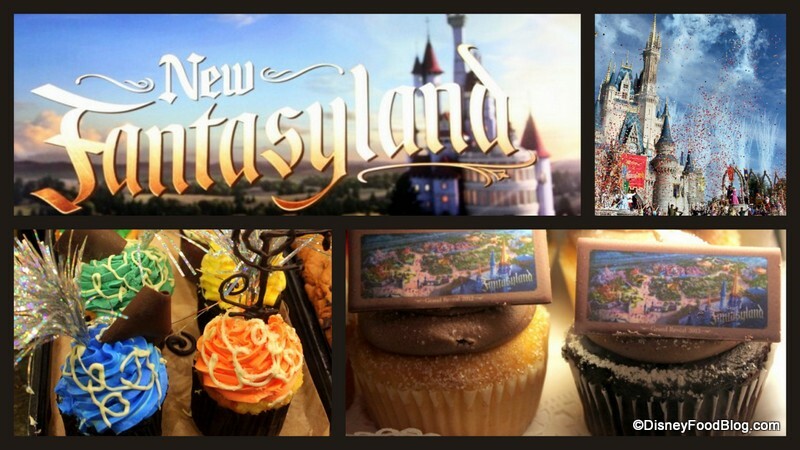 Are you ready to dig into all the new treats in New Fantasyland? 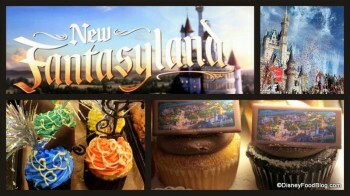 New Fantasyland is now open in Disney World’s Magic Kingdom! 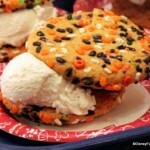 Check out some of the fun eats and treats you can find this weekend! 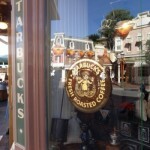 Starbucks will debut in Disneyland Park in 2013 at the Market House on Main Street USA. Splitsville will open in Orlando’s Downtown Disney on December 19th. 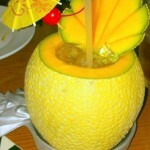 Stay tuned for a review of the food this week! Raglan Road in Disney World’s Downtown Disney announces a new Celtic Brunch, holiday meals, and more! 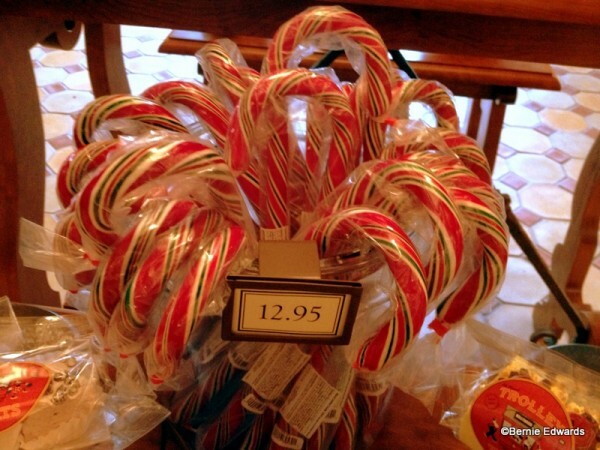 Tables in Wonderland, the Disney World dining discount program, has increased its price in 2012. We’ve got additional food news, including Tables in Wonderland December Event at The Wave, and LOTS more, on our Disney Food News Pin Board! Head over and check it out! On a recent trip to the Disneyland Resort, Disney Dad Bernie Edwards saw these gorgeous candy canes at Trolley Treats in Disney California Adventure. While they’re likely not THE candy canes, they’re still a fabulous holiday treat! Venessa/neomi_buttons exclaims “Making A.J. proud during Food and Wine Festival! !” with a tray for “teeny foods”. Don’t forget to grab your DFB Guide to the Walt Disney World® Holidays 2012 e-Book before heading to Disney World this holiday season! We want to celebrate the holidays with a bargain – get $3 off the purchase price for the e-Book TODAY! Order your copy now for only $11.95 (regularly $14.95). To secure the discount, use code HOLIDAY at the check-out. Click here to get your copy. Walt Disney World for GrownUps takes date night to Disney’s Yacht Club resort. Daveland shares vintage and modern food photos from Disneyland, including Walt with a tuna boat salad. 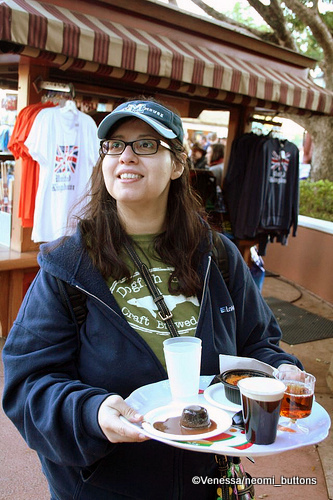 Main Street Gazette samples gourmet caramels in Disney World. 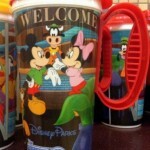 Disney by Mark takes my advice and dines at Yak ‘n Yeti with a window view of the Mickey’s Jammin’ Jungle Parade. AllEars.Net stops by Raglan Road at Downtown Disney Orlando. Disney Parks Blog shares a video of Dancing With The Stars pros waltzing inside Be Our Guest. Of course, Belle and the Beast join in!